Heffels Spiegeler Attorneys-at-Law is an international law firm with particular expertise on the Netherlands, France, Germany and China. Most companies are subject to competition law, which includes the list below. We support and advise you in the event you intend to engage into concerted practices with competitors or to deal with professional purchasers or dealers or if you contemplate to merge with or acquire other companies. We verify the compatibility of your agreements with competition law. We support you during procedures before and litigations against the Dutch Competition Authority (NMa) and the European Commission. 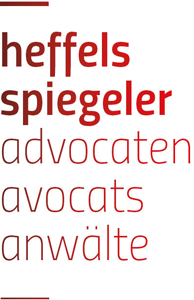 Heffels Spiegeler Attorneys-at-Law further assists you in your actions for damages due to breach of competition rules (cartels or abuse of dominant position). Heffels Spiegeler Advocaten offers a wide range of art law services for artists, collectors, galleries, dealers as well as art fairs, auction houses, museums and art institutions. Collaborating with our network of government officials, art advisors, specialists and tax lawyers, we have a broad understanding of legal and business objectives and the sensitivity of matters. We advice and represent clients in negotiations, Alternative Dispute Resolution or litigation in all matters related to art law including contracts, collaborations, consignment, representation, authentication disputes, customs, import and export licenses, restoration, damage, loans and grants or buying, selling, and investing in art. We also offer our advice if you plan to settle in the Netherlands, Europe or Asia, or if you have questions regarding copyright, moral rights, freedom of art (and expression), droit de suite and regulations on the protection of cultural heritage. Our international practice consisting of Dutch, English, French, German, Chinese and Taiwanese speaking lawyers can assist you while entering or operating in the European and Asian art market to overcome language issues. If you plan to invest in the Netherlands, France or Germany and are interested in recruiting non-EU employees, you will often need to know the Dutch, French, German or EU immigration laws and the relevant provisions of the Labor Law. Heffels Spiegeler Advocaten will provide you with comprehensive services on how to draft labor contracts, handle employee immigration procedures and avoid labor disputes. Compliance has become a growing concern for enterprises, more specifically those of the financial sector. Enterprises are more and more enclined, if not regulatory obliged, to establish and implement codes of conduct, amongst others on the prevention of money laundering and terrorism financing. Heffels Spiegeler Attorneys at Law advises and provides training in this area, focusing on ‘Customer Due Diligence’, and provides your firm with due diligence services. Legislative changes are not always in your advantage. We decipher for you the impending changes and intervene to defend your interests. Brigitte Spiegeler has experience with and within the Dutch government and in the field of international, national and European lobbying. Michiel Heffels has been a senior corporate counsel at a multinational telecommunication company and has experience with matters regarding public affairs.